Solder Paste is Fundamental to Successful Electronics Assembly - MTE Solutions Inc. Solder Paste is Fundamental to Successful Electronics Assembly - MTE Solutions Inc. In continuing with our theme of the importance of solder paste, here is another post from Indium. In addition to being key to successful electronics assembly it is also important to remember that starting with a good solder paste is equally important. The following post was written by Dr. Ron Lasky of Indium Corporation. So many exciting things were going on that Patty’s head was spinning. 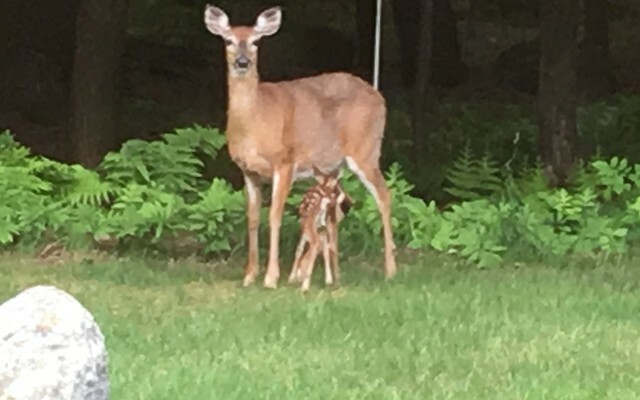 A deer had just given birth to a fawn in her back yard. What an event for her twin sons to witness. The next day a bear knocked down her bird feeder to eat the bird seed, and, the day after, the bear ravaged her garbage can. Living next to nature has its advantages and draw backs. Figure 1. A one day old fawn being nursed by mother. The photo was taken in Patty’s backyard in Woodstock VT on June 12, 2016. The following day Patty took one of her Lean Six Sigma Black Belt students to lunch. The student was joined by her husband. Both were graduates of West Point and also Blackhawk helicopter pilots. It was a fascinating lunchtime, as both had also been deployed as Blackhawk pilots to Afghanistan. “Yikes!” Patty thought. “The author has made a few errors. It’s not the entire transistor that is 100 atoms wide, it is the width of a conducting line.” See Figure 2. “And in 2020, an entire transistor will not be composed of 10 atoms, but the conducting lines may be 10 atoms wide. An entire transistor will be many orders of magnitude greater than 10 atoms.” her thoughts went on. Patty wondered what other mistakes existed in articles like this if such fundamental mistakes are made. She also felt that the term “manipulate” was off in discussing transistor manufacture or function in an integrated circuit (IC). Figure 2. 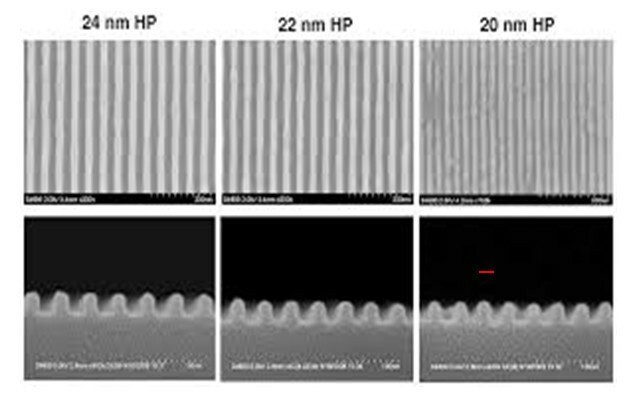 When IC manufactures talk about a “20 nm” process they mean the capability of producing electrical connection lines of 20 nm width as seen in the photo on the right. The red line is about 20 nm long or between 100 and 200 atoms. After calming down from witnessing this unsettling error, she saw she had an email from Mike Madigan, CEO of ACME, her former employer. Patty, Rob, Pete, and the Professor had a long term consulting contract with ACME and all of them found the work invigorating. Our yields are down 6%, non-material assembly cost per I/O (NMACI/O) is up 8%, and a few customers are threatening to leave. HELP! Patty quickly organized a meeting with Rob, Pete, and the Professor in her office. As they settled into their chairs the Professor started the meeting off. “Patty, this sounds serious. What is the problem?” the Professor opened. Patty showed everyone the note from Mike Madigan. “Within a year, two at the most, things deteriorate after a major change like what happened at ACME,” the Professor said. “What major thing happened at ACME?” Patty asked. “You three left,” the Professor responded. “It would be nice to think that we made such a difference Professor, but you have to elaborate,” Rob suggested. “The three of you were a focus for lean manufacturing, and quality, and productivity improvement plans. I’m almost certain that all of these great efforts have fallen by the wayside since you left. I’ve seen this happen when OEMs sell their manufacturing facilities. The OEMs had excellent manufacturing discipline and procedures in place. The people who purchased the facilities often abandon all of these ‘best of breed’ practices,” the Professor elaborated. “And I’ll bet they treat solder paste as a commodity now,” Pete added. “I find that hard to believe. One of the pillars of our quality and productivity efforts at ACME was that solder paste is the fundamental to excellent electronics assembly. We spent a lot of time on this topic and had buy-in from everyone,” Patty shot back. “Trust me! Those idiots will do stuff like this to save a buck,” Pete testily replied. “OK, OK. Let’s work out a plan,” Patty said returning the meeting to decorum. After about 10 minutes of discussion, a plan was worked out. ACME’s headquarters was in nearby Exeter, NH. The Professor would meet with ACME’s executive team to review their lean, quality, and productivity plans. Patty would meet with purchasing to see how they made decisions on purchasing solder paste and other electronics assembly materials and equipment. Pete would audit the 12 assembly lines at Exeter and Rob would audit two of ACME’s main satellite plants, in South Carolina and Wisconsin. They would get back together and share their findings in two weeks. As usual, Patty admonished Pete to behave. Will ACME be treating solder paste as a commodity? Will Pete behave? Will the bear return? Stay tuned to find out.